The Wheel Turns to the Winter Solstice/Yule 2015…..
To celebrate the Sun, the Land, the Ancient Ones, the great Circle of Nature. To bring forth renewal, peace, and joy. Merry Meet my friends! It’s a Monday evening, quiet in the house at the moment after a busy day. It rained today and we have been un-seasonably warm here in Ohio. Too warm for my tastes actually lol, but we will start cooling down in the next few days! The Solstice is coming fast…just a week away! Yule, or the Winter Solstice is all about the return of the Sun. It will be the longest night, and then we celebrate the rotation and the days lengthening as we eventually get to Spring again. Having said that, here in Ohio and many other places on this wonderful, good Earth, we have a long Winter ahead of us yet! I have been preparing for it for some time now. From putting away the garden tools, and getting the garden beds cleaned up and mulched, to pulling out warm blanket throws, making elderberry syrup and of course, shopping for Yule and Christmas gifts and all the things associated with the holidays! I also have planned for projects to do over the dark time of Winter. And my list gets longer lol. Books I want to read, house projects to do, projects associated with my Craft such as getting my herbalist class going, working on my BOS, and some witchy crafts too. I often feel that Autumn is too, too short of a season, it goes by so fast I think because it’s my favorite. Winter, to me, often is a very long season…which I think is a good thing! I have already found myself staying indoors more, except on these really warm days we’re experiencing right now! As I said before, it’s nesting…..loving my home and being in it! For my Solstice celebrations, I most definitely clean the house well, make sure I have lots of candles and firewood, stock up the pantry for cooking and baking, and do as much ahead of time as I can. For me, and for many I know, the Solstice is not so much about families and friends gathering, not about gift giving, not about a huge feast and loud, noisy parties. It’s more about a simple meal, quiet introspection, offerings to our Gods and Mother Earth, and dwelling in the darknesss, in a content and joyful way. It’s about quiet meditation, reflecting on the year ahead and what we wish to leave behind. I often will get up early to toast the Sun as he/she rises. I say he to cover those who think of the Sun as the Male God rising again, and I say she for those who think of her as Sister Sun. You can fill it in as you wish 🙂 Whether you toast with a mimosa, a cup of coffee or a glass of water, the ritual holds meaning. It’s representative of the days starting to lengthen and we know there is hope that after Winter we will have Spring. My coven has decided to meet on January 3. To allow everyone time with their families at this busy time of year. We all look forward to it very much. It’s a feast of desserts, coffee, hot chocolate and our fun gift exchange..all around a fire. Perfect! My Solstice/Yule altar is always one of my favorites I do each year. I set it up early in December and have enjoyed using it each day. I have a new Goddess statue..Elen of the Ways which I’m in love with. I’ll be talking more about her in another blog soon. Not the statue, but Elen herself. 🙂 I love my real deer antler, my YULE log my hubby drilled holes in for me, and of course all the red and green crystals, candles, and my elemental representatives. I’ve had the beautiful deer for years now and it brings me joy every time I see it. The vase is filled with Rosemary…a gift from the garden of one of my coven sisters. Her Rosemary was still going strong with all the warm weather we’ve been having and she made sure I had some. It smells so good! I’ll be adding more greens on top of my Yule log and some cakes and ale the night of the Solstice. For crafty things I like to do this time of year. Feed the birds with peanut butter covered bagles dipped in bird seed. String cereal like a garland. Gather bits of yarn, fur, dryer fuzz and put everything out for the birds..they will love it! Make orange pomanders. Make beautiful oil blends and use them to anoint candles, your altar, yourself. Gather some dried herbs and make herbed salts, oils and vinegars for gifts. Bake bread and take a loaf to a neighbor. Gather the grandkids or kids and make lots of cookies. Even better, make dog biscuits and share them with all the dogs in your life. Don’t forget to donate! Clean out your closets and cupboards and take them to Goodwill or a homeless shelter or a battered woman’s shelter. Donate dog and cat food to your local shelter..better yet, take home a pet that needs a home! Give to Toys for Tots, Books for kids, the Red Cross, Salvation Army, adopt a family, send a military shoe box, and/or volunteer at a soup kitchen or food pantry. You’ll be all the better for it! Give, give, give to be truly grateful with what you have! I love to burn candles all over the house, and to keep off of all electronics! I’ll often journal, read, scry in the fire…Oh..there MUST be a fire in the hearth of course! That goes without saying 🙂 Soup and bread are often my preferred meal (my family loves that too) and we just have a quiet peaceful night. 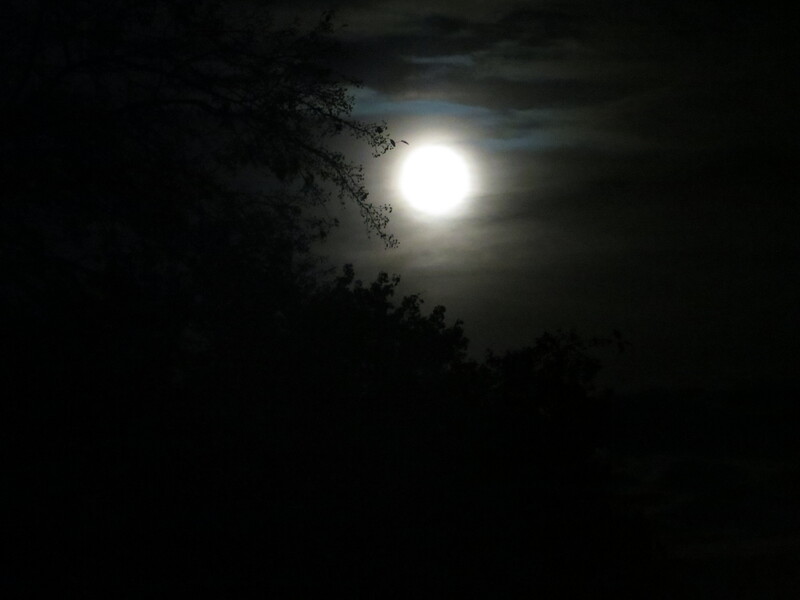 Stepping outside to make my offerings, absorb the energy from Earth and Grandmother Moon as well. And to listen…listen to the quiet of Winter…it’s so peaceful. Keep in mind that our Mother Earth is also resting, rejuvenating, and readying for when Spring blooms again. Then, a good night’s sleep and I’ll be ready to hop back into the much more chaotic holiday of Christmas that comes a few days later! Ritual for any Sabbat doesn’t have to be organized or methodical. When I first started blogging, I often shared actual rituals that I had found online or in books. Now, I just tell you what I do. What I do at my altar..well, that’s between me and my Goddess as they say. The words I use, the tools I use, the feelings I emote and the goals I’m trying to manifest are my own. I have many friends who are new to the Craft, or maybe aren’t so new, but get bogged down in worrying about rhyming words, what color the stones should be, or where the candles should go on the altar. I say…..it’s YOUR Path….do what feels right to you. Period. Your intentions and your inner Magick and your relationship with your God/Goddess is all that matters. You’ll be heard! I’ll be back in a day or two with a few recipes I thought I’d share. I’d like to remind you that you can search for Yule or Winter Solstice in the search box on the right ———> for more posts like the correspondences, recipes, poems and quotes etc. I see many of you are finding them already. 🙂 In the meantime, have a wonderful week! Merry Meet everyone and Happy Sun day! It’s been a busy day here today. My hubby is working on projects around the house and I had the laundry and the grocery to do. Also, yesterday we had our ugly beige hallway and guest room painted in beautiful shades of green and “Vast Sky” blue, respectively. So I had to put pictures back up on the wall, put everything back in it’s place etc. The boring beige in the whole house is GONE and my home is warm in color as I like it 🙂 The Sun has been shining and we were in the mid 50’s…a lovely day but a bit chilly when the winds blow. Tomorrow however we can look forward to hitting 70*! How wonderful! Spring has sprung here..I believe it truly has! 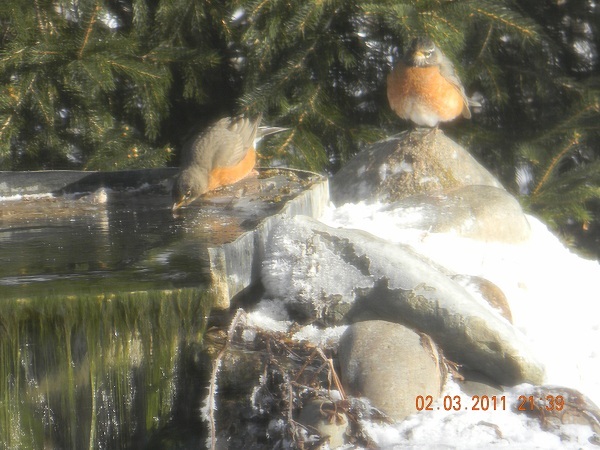 Our bird and squirrel feeders are active. I’ve seen cardinals, finches, mourning doves, and even two gorgeous male blue jays! The squirrels are having a feast as well lol. There are tulips coming up in some areas, snow is all gone, and of course the days are getting longer. I don’t see trees budding quite yet. 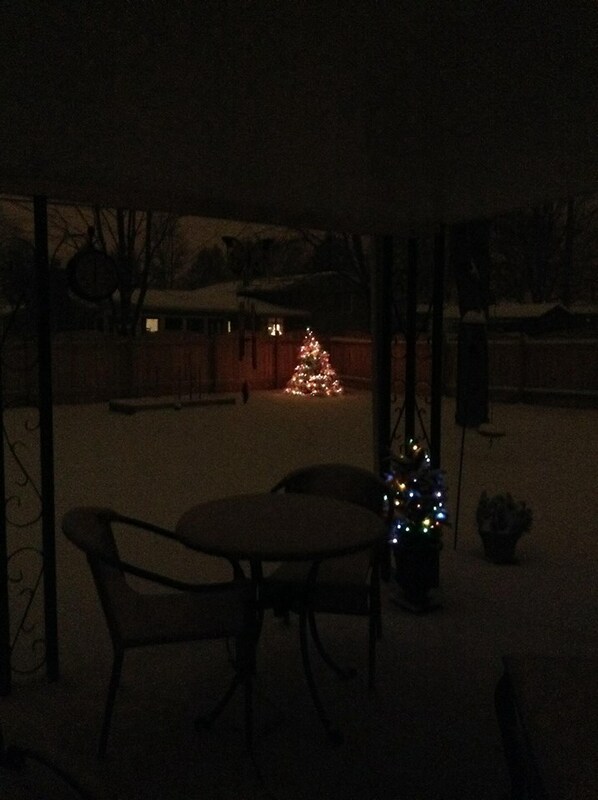 Now I live in Ohio, and I KNOW that we can see snow yet in April lol…but I think we can put Winter to bed pretty much 🙂 How about where you live? I was perusing a few Spring issues magazines today. I just love them don’t you? There are always flowers and green and pastels on the covers. So light and airy. While I was looking thru them I found a few recipes I thought would be perfect for Ostara and thought I’d share them with you. They would be great to put in jars and take to the park for a picnic on a Spring day, great for your family gathering, and well, just for something light and healthy for every day! 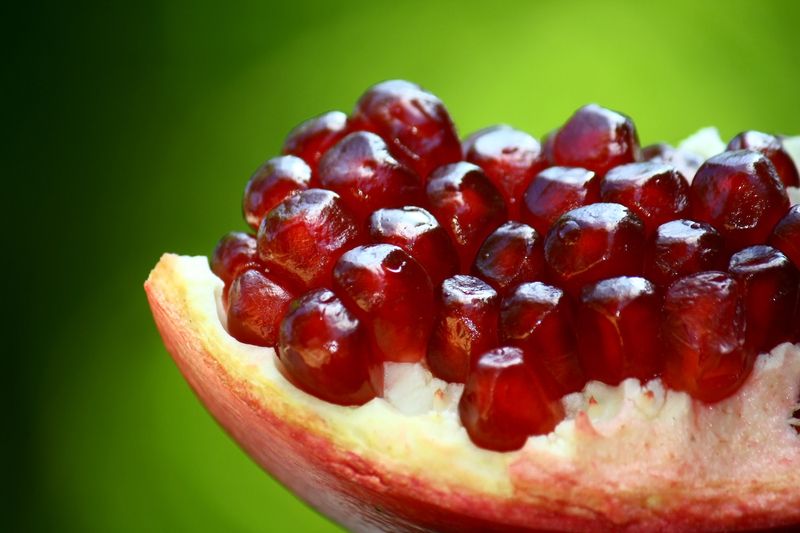 In a small saucepan, combine sugar, and next 3 ingredients. Bring to a boil over medium high heat, stirring occasionally until sugar dissolves. Remove from heat, strain through sieve into a small bowl. Let cool completely. 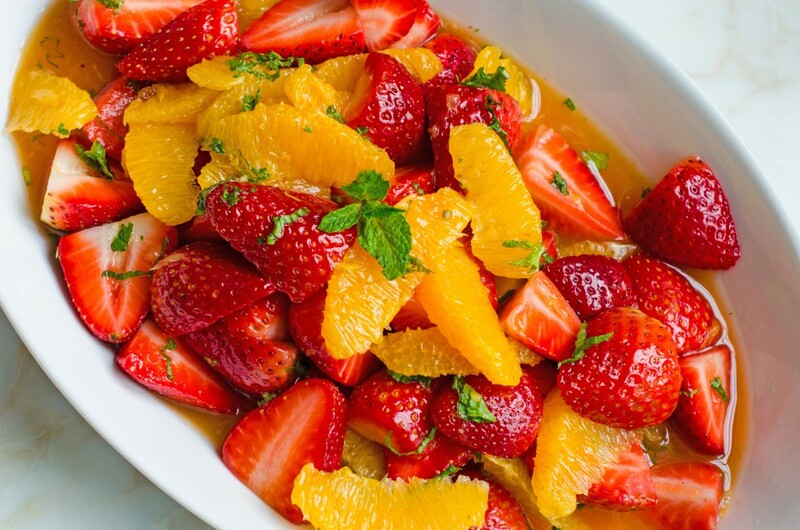 In a large serving bowl, combine fruits and mint. Add lime syrup, stirring to combine. Cover and chill for at least an hour. Sprinkle with almonds before serving. Cook pasta according to package directions. In a large bowl, stir together asparagus, carrot and peppers and pasta. Add Dill vinaigrette stirring gently to coat. Cover and refrigerate for at least an hour. Garnish with chopped dill. In a small bowl, whisk together all ingredients. 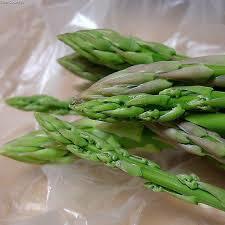 Cover and refrigerate for 2 hours or up to 3 days. In a small bowl, combine flour, baking soda and salt. 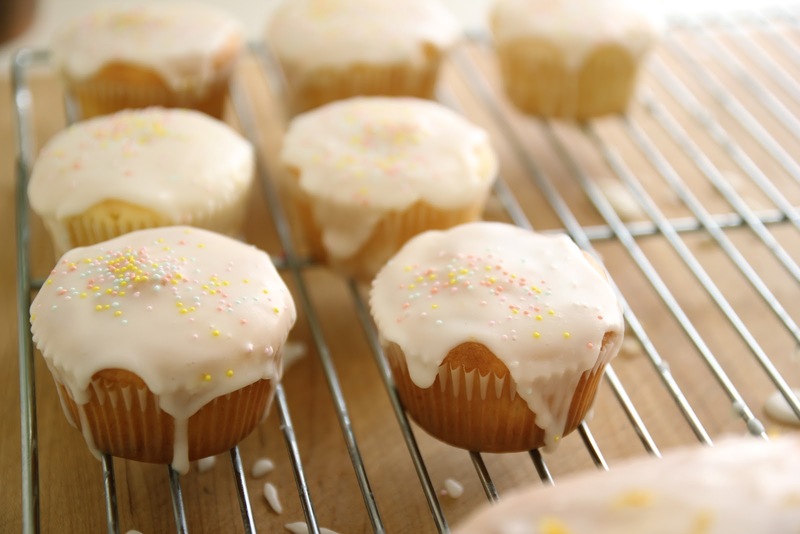 In the bowl of a stand mixer, beat together butter and sugar until light and fluffy, about 3-5 minutes. Add egg, and mix until blended. Add vanilla, lemon zest and lemon juice, and mix until well blended. *be sure to read this closely before starting 🙂 Working in batches, add 1/3 of flour mixture. Beat until combined, scraping down sides of bowl. Add 1/4 cup buttermilk; mix completely; scraping bowl. Add second batch of 1/3 of flour mixture; scraping down sides of bowl. Add remaining 1/4 cup buttermilk. Finish with last of flour mixture, scraping down sides of bowl until all is fluffy! Pour batter into baking cups, filling each about 2/3 full. Bake for 18 minutes or until toothpick comes out clean. Let cool completely. In a small bowl, whisk together all ingredients. Pour by spoonfuls over cupcakes. Don’t they all sound wonderful….so fresh and reminding of Spring 🙂 Hope you give them a try! Remember to stir in some magick while cooking! I want to talk about one more thing real quick. I have a dear friend, Deb Sunshine Hillman who has written a wonderful book…a small book filled with beautiful tales relating to Women and the Goddess. As a follower of Goddess, and I’m a woman…..lol…these stories speak to me. I hope you check it out…I’m so proud of you dear Sister Deb for making one of your dreams come true….publishing a book! Here is the link for my readers if you’d like to check it out! *All pictures are either my own or creative commons images. The sharp, gentle chill of fall. Merry Meet my friends! 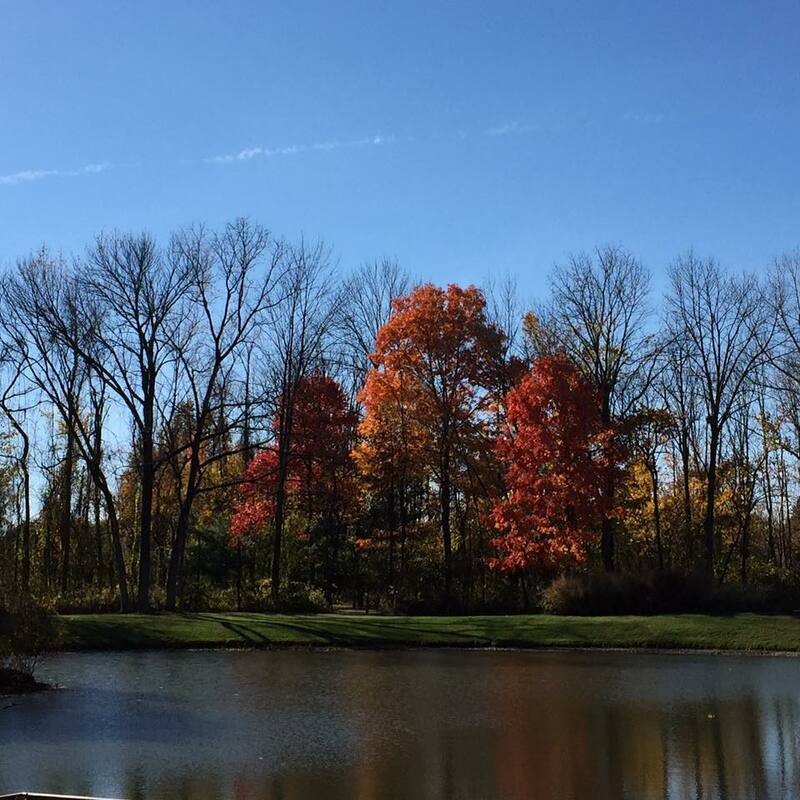 Autumn has arrived here in Ohio! Even though Mabon isn’t until the 23rd, Autumn is here none the less. I for one, couldn’t be more Happy about it! My favorite time of year!! Already I feel like a heavy load has been lifted. The heat and humidity of Summer makes me feel heavy, weighed down, and tired. I am energized as the cool days and even cooler nights are upon us. 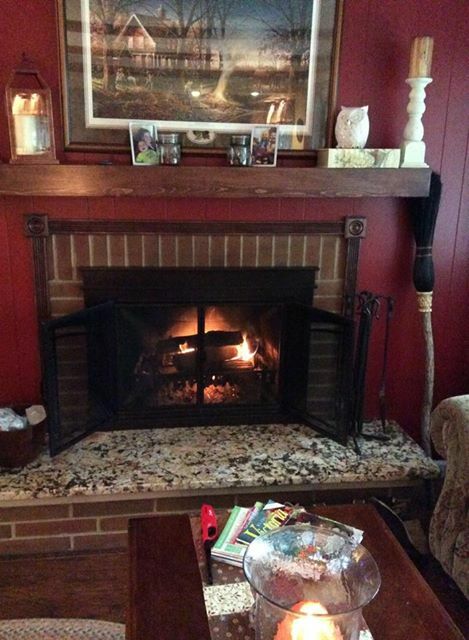 We have had our first (and second and third) fires in the fireplace! There is nothing more cozy to me than a fire on an Autumn evening. My oven has been busy with baking. My crockpot is on the counter permanently, garden beds are cleaned up of flowers that are spent and I’m about to harvest a huge amount of herbs..most of them for the last time this year. Summer couch covers are washed and put away, warm blankets have been brought out, the chimney and furnace have been inspected and cleaned, a cord of wood has been ordered, and Winter clothes are in the closets and Summer clothes put away for next year. Autumn cleaning is near finished. We are seeing some color in the leaves already as I showed you on my last posting. Some trees have lost their leaves completely, but there is LOTS of color still to come. Bees still abound in my gardens. Birds, squirrels, chipmunks, and other ground animals are gathering frantically. This morning I had a huge amount of activity at my bird and squirrel feeders. I had a couple dozen mourning doves, a pair of cardinals, 3, yes 3! male blue jays, a Flicker woodpecker and multiple finches, sparrows and other small birds. Our white squirrel Luna, other gray squirrels and several chipmunks were also scurrying and gathering! It was wonderful to watch. I still have my hummingbird feeder up for migrating hummers, but we haven’t seen one for a few days now. If you don’t already, please think about feeding these animals and birds…to help them through the long hard Winter we are being promised again this year. You will get so much pleasure out of it! 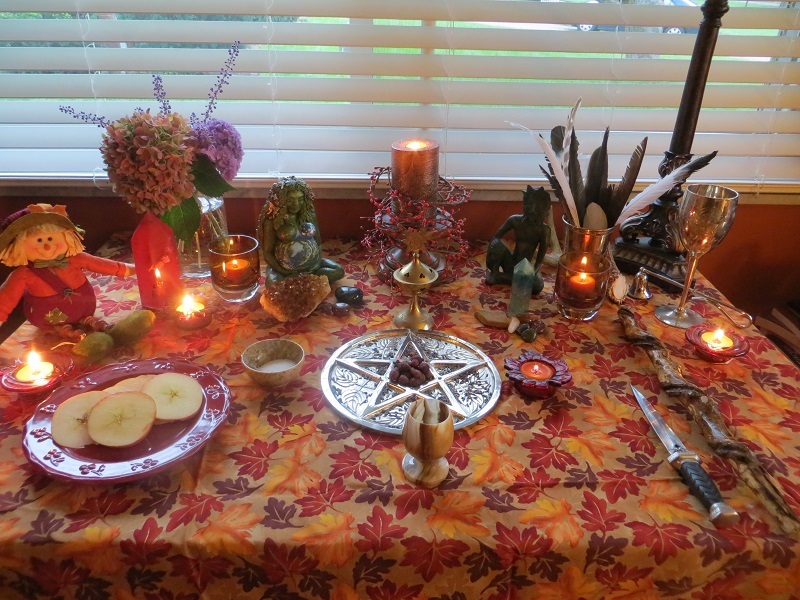 My Mabon altar is set up and plans are made for my Circle/Tribe to meet on Sunday evening here. There will be an outdoor fire, weather permitting, desserts, spiced cider and good company! Several of us are also attending our local Pagan festival on Saturday which we are looking forward to. For several of us, it’s our first time to go! I am usually on vacation this time of year so haven’t been able to attend. I can’t wait! Yesterday, I was flipping through a Taste of the South magazine and came across a recipe that sounded so yummy I thought I’d share it here with you. It sounds soooo spicy and good for Fall! The picture is theirs as well. Preheat oven to 350°. Spray 2 (8×4-inch) loaf pans with nonstick baking spray with flour. Set aside. In a medium bowl, sift together flour, salt, and baking powder. Set aside. In another medium bowl, beat sugar, milk, oil, eggs, zest, vanilla, and cardamom at medium speed with an electric mixer until well combined. Gradually add flour mixture, beating until smooth. Divide batter evenly between prepared pans. Bake 30 minutes. Loosely cover with aluminum foil, and bake until a wooden pick inserted in center comes out clean, approximately 30 minutes more. Let cool in pans 10 minutes. Remove from pans, and let cool completely on a wire rack. In a medium bowl, stir together confectioners’ sugar and orange zest and juice until smooth. I will be making this recipe this week. It sounds yummy! I think my Circle ladies will like it! 🙂 I hope you try it too! I am most anxious for the next couple months of Autumn weather and the first snows of Winter. There is just something about this time of year to me. I call it nesting…coming indoors. Warmth of fire, smell of woodsmoke and candles, something simmering on the stove or baking in the oven, warm beverages, perhaps crochet or a book on my lap (and a cat or two of course) are all just so cozy to me. I turn more inward, I am a bit less busy, more time for introspection, journaling, writing, reading etc. 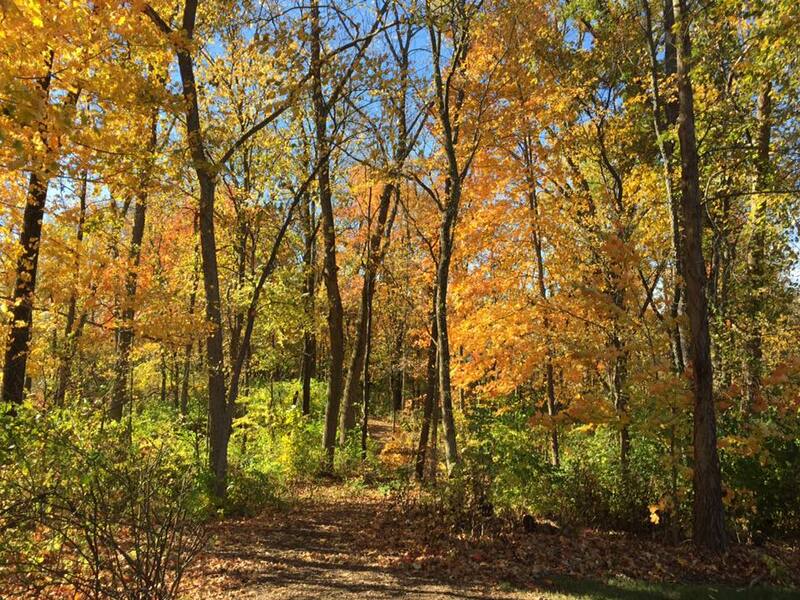 Having said that, this is also my favorite time of year to go for a walk, to spend time walking on crisp, bright colored leaves in my warm jacket and gloves, seeing Mother Earth in all her glory….well it’s just a NEED! I know many of you have the same need! To grab every minute we can of the beauty that is our Mother. I’m wishing you all a very Joyful and Blessed Mabon! To you and yours! May you find the balance in your life as Mabon, the Equinox, brings balance of day and night. Prepare yourself for the dark months of the Year. Blessed Be! I have spent some time today getting ready for Ostara. My Circle has decided to meet for brunch on the Sunday after Ostara ( Ostara is the 20th by the way!) We will have pastries and fruit and lavender lemonade! I’m working on my altar as well. 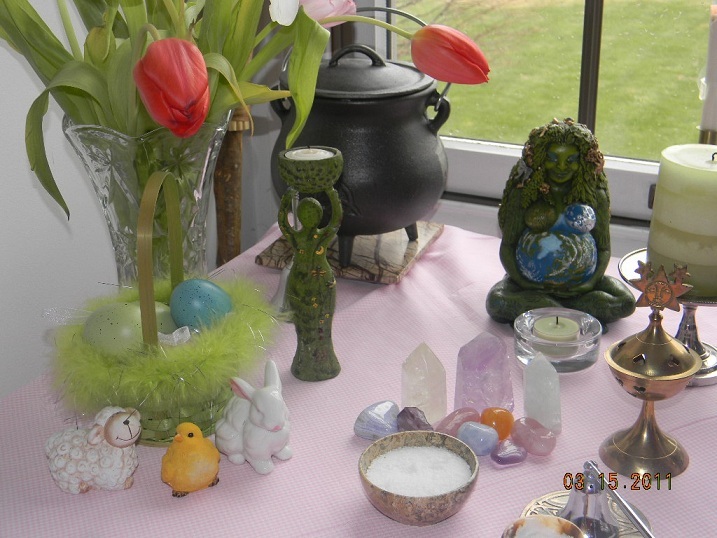 I love the Ostara altar..it’s one of my favorites. 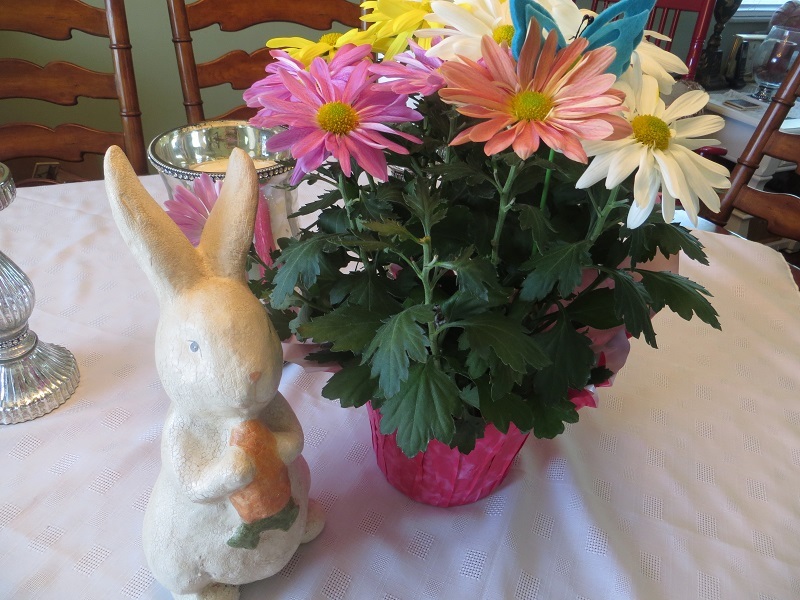 Pastel colors, eggs, rabbits, tulips or daffodils, and baskets just lift my spirits in it’s brightness and lightness! I’ll also set up a kitchen altar as well! Some of the things I love to do for Ostara is to, of course, color eggs and bake breads. Egg recipes are popular for light lunches and breakfasts as well. Egg salad, deviled eggs, quiches, and omelets especially! Another thing I’m doing is perusing my seed catalogs, garden books and magazines and planning for when I can get outside and start working in my gardens again! For the seeds, I love to do a seed blessing ritual..to bless them to grow strong and healthy and to carry powerful Magick within them as well! You can bless and consecrate your seedlings and young plants as well of course! My hands long to dig in the dirt and my barefeet long to be planted on Mother Earth! Can’t wait! 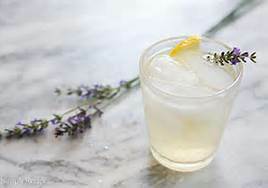 I thought that you all would enjoy my recipe for Lavender Lemonade to enjoy for your own Ostara feast. It is also posted in the Sunday Stew I told you about last time I wrote. I hope that you have gone and checked it out! It is well worth your time. In a large saucepan, bring water and sugar to a boil until sugar is dissolved. Remove from heat. Add lavender flowers. Cover and let stand for one hour. 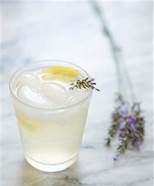 Strain lavender from sugar water and discard lavender as you wish. Stir in additional cold water and lemon juice. Pour into a pretty pitcher and add ice and sliced lemons. Don’t forget to type in Ostara or Spring Equinox in the search box on the right here to find all my past posts and recipes..there are a LOT! I’ll be back soon too. The Wheel Turns to Yule 2013……..
Merry Meet my friends. I am very late to writing a Yule blog I’m afraid. Just like all of you, Life is a bit busy right now and time seems to escape me some days. Winter has settled in early here in Ohio. Right now, there is about 8-9 inches of snow on the ground and we will be in the single digits tonight with a negative wind chill factor!! But I LOVE Winter! I love the beauty of the snow, the quiet of the nights, the starry skies, the scent of woodsmoke, and seeing your breath on the Air. Despite this busy time of year, I find time most every evening to be quiet by the fire, light candles, rest and reflect on the dark months ahead. Yule is on Dec. 21 this year and it’ll be a quiet celebration as always here at my house. A nice meal, some time outside, some time at my altar and some time by the fire. My greens have been brought in just today and adorn bowls and my mantle. Yule..the Winter Solstice…the longest night of the year. I find it a beautiful Sabbat…a time in all the hustle and bustle of the holiday celebrations..to focus on what Yule means to us Pagans and Witches. It marks going into Winter..into the dark time of the year. Mother Earth is at rest and I try to do the same for the Winter months. It’s a quieter time of year (after the holidays of course!). Time to read, relax, perhaps work on a project I’ve put off, crafts, organize my home, write etc. Whatever it is you like to do when you are forced to be inside more. Now I know that of course life is still going on…work, responsibilities, cooking and cleaning etc…yes…but there is more time at home, more hours of dark to spend nesting and finding time to rest. Even getting some extra sleep! I am in search of the perfect Yule log from our woodpile. I’ll dress it with greens and herbs..bless it and burn it! One of my favorite things to do for Yule is to write down a list of my wishes, hopes, and dreams for the next year. Also, to write down those things I want to let go of…to get out of my life. After doing the list, I burn it with the Yule log..and know that my wishes go out with Air..by Fire and Earth. This year, in our new home, we have a darling little spruce tree we planted over the summer. My husband put lights on it and it makes a magickal little Yule tree. This weekend, I’ll be making outdoor ornaments for the tree, I use yarn or raffia to string cereal and dried fruits. I use bagel halves, cover them in peanut butter and dip them in birdseed..and even apples and orange cups can be put out there. My grandkids love this project too! and of course the birds and squirrels love it too 🙂 Makes me feel good to help our feathered and furry friends over the cold Winter. Thought I’d post a couple of favorite recipes of mine for this time of year! These are a huge hit at my house and so simple! Cream butter and sugar until creamy. Add 2 cups at a time of the flour and blend. If the dough is a bit dry, add a tablespoon of water. 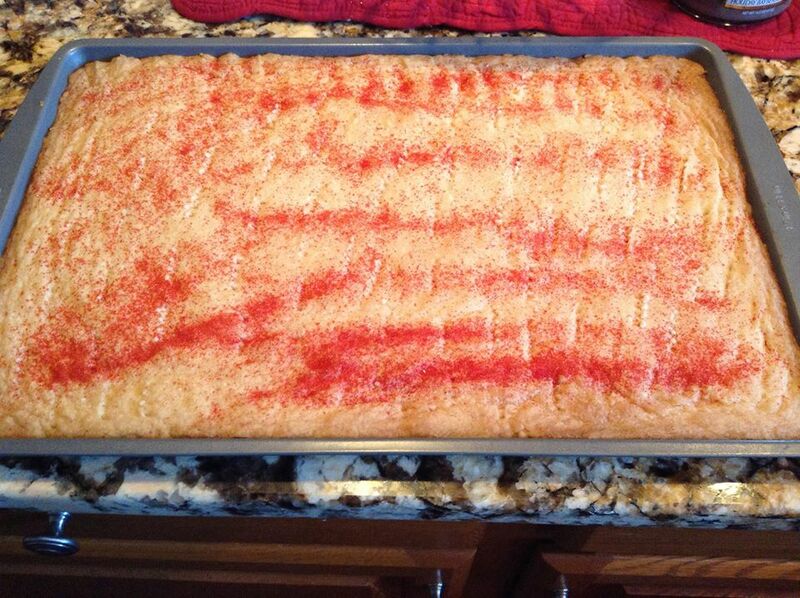 Spread dough into a jelly roll pan with your hands ….spread it even. Prick the dough every so often with a fork. Bake at 350* for about 25 minutes until golden brown. 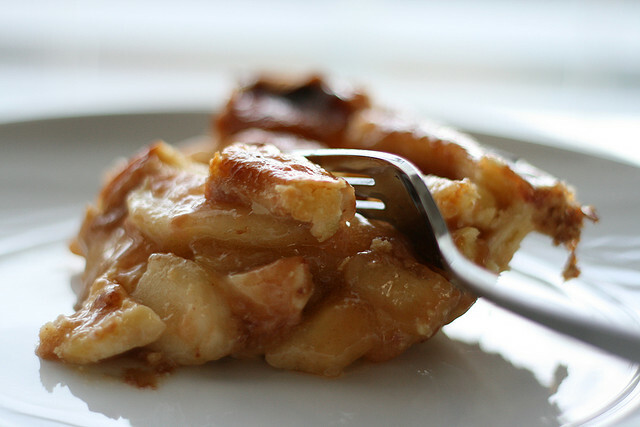 Remove from oven and cut immediately into squares….then let it cool in the pan. Enjoy! *For Yule, I like to sprinkle with green or red sugar crystals before baking! Sift together first 6 ingredients in a medium bowl and set aside. In a large bowl, beat egg & milk until well blended. Stir in molasses and oil. Add flour mixture to egg mixture, stirring til moistened. Pour batter by 1/3 cupfuls onto a lightly greased hot griddle. Cook until bubby on top, flip and cook til golden brown. Stir together sugar, cornstarch and nutmeg in a small saucepan. Add water and cook over medium heat until thick and bubbly. Serve warm over gingerbread pancakes or waffles, or cake! Hope you enjoy these! For more recipes and Yule info and correspondence etc..be sure to type in Yule or Winter Solstice in the search box on the right side of this blog. There are many past years of postings! For now I leave you all with the hopes that you are finding time to BREATHE, RELAX, and be QUIET now and then during this busy time of year. It’s so easy to get caught up in the hectic hustle and bustle….but pause now and then and remember what the Season is really all about. The Solstice..the longest night…..the passing of the Holly King and the Re-birth of the Oak King…and Mother Earth frozen and slumbering. But it means that already the days will grow longer and the Sun will strengthen and warm, and Earth will begin to stir! Blessed Be! 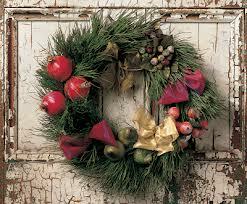 Wreath picture from the internet..unknown source. Other two pictures are my own. A Book review and signs of Spring………. Merry Meet friends. It has been quite a week ..weather wise around here. On Imbolc Eve, we got a huge ice storm…lots of heavy ice, slippery roads, trees cracking and breaking from the weight of the ice, and power outages. Yes, we had a power outage..the lights went out about 11:30pm that night. We lit candles, brought in a kerosene ceramic heater to warm the lower floor rooms and hoped for the best. By the next morning..power outage looked like it was going to last for awhile. We ended up heading over to my daughters for the day and stayed warm and had a lovely visit with my daughters and granddaughter. Lights came back on at about 5pm and life got back to normal. It was Imbolc…my ritual ended up being very simple as I was so tired from lack of sleep LOL…but I threw open the doors and invited in Brighid and it was a Blessed Imbolc after all. I hope yours was too! A couple of months ago..a facebook friend of mine..Tracy Jeffery..from Australia…posted a link that caught my eye. 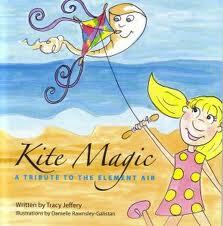 I went to look at it, and discovered that she had written a children’s pagan book…called “Kite Magic….A Tribute to the Element Air”. I looked at it, thought that I would order it for my granddaughter and then, you know, I kind of forgot about it. A couple of weeks ago, she posted a comment here on my blog and mentioned the book and that she would love for me to review it here. So I promptly contacted her, ordered the book and I received it, read it and loved it. So Tracy, thank you for your delightful book and I can’t wait til the other element books are written. I have been looking for signs of Spring..to no avail around here. We have had one of the snowiest winters I can remember. Not so much in huge amounts, but in constant amounts..keeping the ground white all winter long. Today, more snow. But recently, I have had visitors to our koi pond in our yard and just had to snap a few pictures. Signs of Spring? 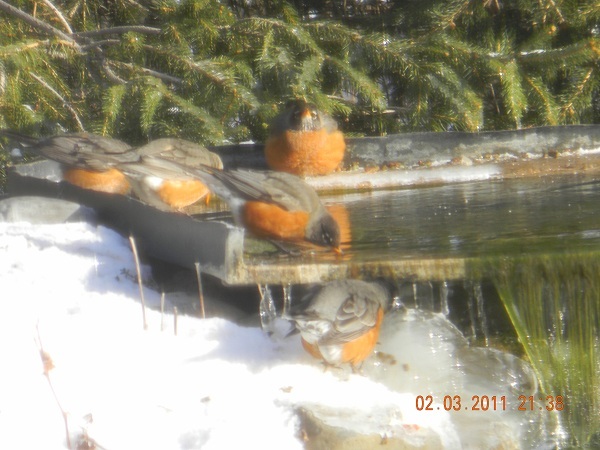 I still think so…but they are around here all winter long now…but seeing them makes me smile. 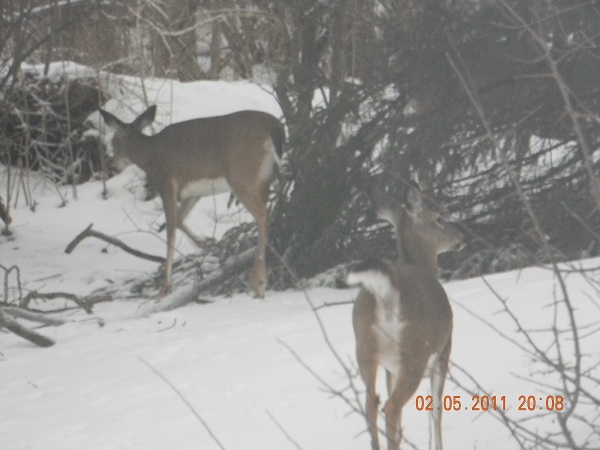 Then this morning..more visitors…7 deer walked across our yard…it was so magickal. I feel such an affinity with them. I see them as so magickal and majestic…my heart soars when I can be that close to them! Here’s a picture I caught before they went up in the woods. Sorry for the misty pics but well, it was a misty morning! 🙂 I have heard many of my facebook friends talking about signs of Spring around their homes..so I know that Spring is coming soon. To feel the Sun warming the Earth, to see shoots peeking up thru the brown earth, morning bird song, the smell of the grass greening….I can’t wait for those days. I know you all look forward to those days as well. Spring is Hope Eternal!